Since that time, we have focused on popularizing our method of self-performed foot massage health management and have actively conducted self-care foot massage classes in locations nationwide, trained instructors, and developed self-care tools. I encountered this health management method through my activities in music. 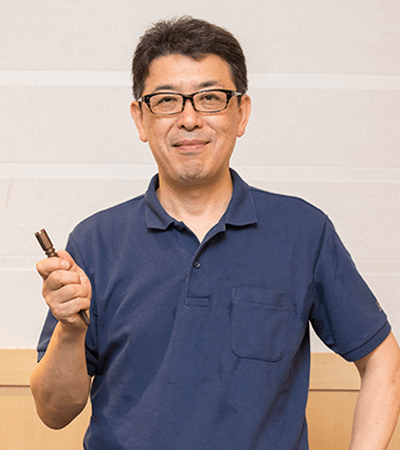 During my years at Musashino Academia Musicae, I was involved with brass band members’ concerts, and in 1990, I was asked to provide music for a world convention on foot massage. There I met the late Mr. Yubo Kan, the founder of Kansokuho, or Kan foot therapy. I was also strongly moved by the life philosophy of Mr. Masahiro Yukimoto, president of Bunka Sosaku Shuppan, which published Kan’s book “Ashi no Yogore ga Manbyo no Genin datta [Foot Deposits Are the Cause of All Kinds of Diseases].” At that point, I switched career paths from music to the publishing industry, and entered the world of foot massage health management. While working at the company, I received instruction in Kansokuho from Mr. Kan and other senior members. 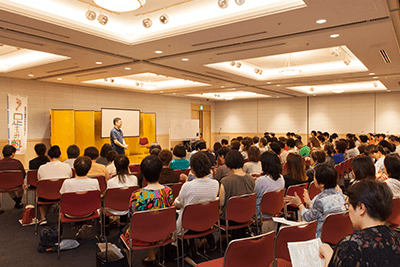 In addition to attending Mr. Kan’s seminars and classes sponsored by publishers, I started as an assistant to President Yukimoto, who traveled nationwide as an instructor. 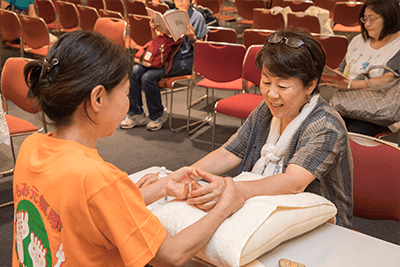 Currently, as an Ashimomi Juku representative , I get the word out about foot massage health management and handxology. I am grateful for the opportunity to continue to present the moving experience of foot and hand massage. in the power of foot massage with the goal of improving health, and take this ambition to the world! We seek to popularize a new method of foot massage health management and handxology based on Kansokuho [Kan foot therapy]. Our activities go beyond Japan as we instruct people around the world. “Handxology” and “handxologist” are registered trademarks of Ashimomi Juku, Inc.
We are seeking members to join us in spreading the word. 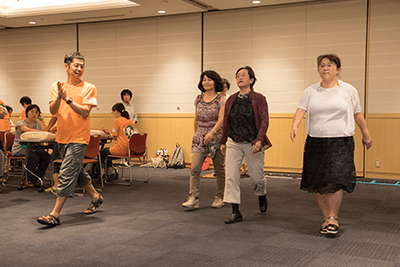 Our activities take place both in Japan and abroad. If you are interested, please contact us. We offer classes on self-care using tools developed for the general public. Classes focus on use of the following three tools (self-care/three treasures) in an enjoyable and easy-to-understand format. We carry a broad range of professional goods used during massage therapy as well as everyday self-care tools. Original Ashimomi Juku goods are easy to use and noticeably effective, and have been brought to market based on proven need. 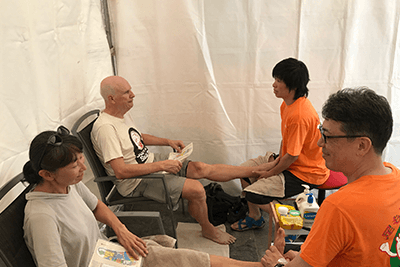 We publish “Ashimomi Juku News,” a monthly information magazine that supports everyone who wants to continue with foot massage. Every month we introduce a wide variety of topics in an easy-to-understand and enjoyable illustrated format, paying special attention to the causes and characteristics of health issues as well as presenting key points of foot massage. The magazine provides practical and specialized information, including occasional articles by certified instructors based on their own experience. We also issue a biennial compilation of Foot Massage [Ashimomi] News. This summary of two years of news is available for purchase; please feel free to contact us if you are interested. 【【Application】 Please submit requests by flyer application form, or directly call or email us below. 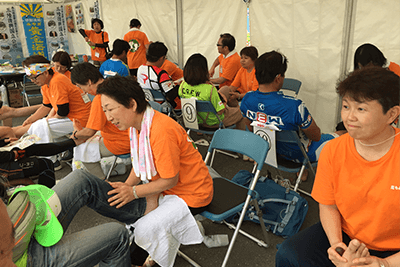 Our activities were continuing when the Kumamoto Earthquake struck Kumamoto and Oita on April 14, 2016. 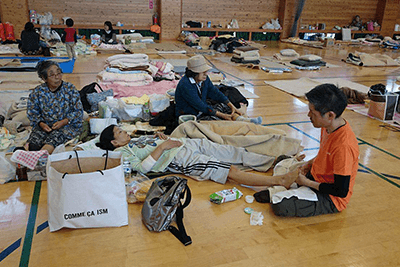 After the Great East Japan Earthquake, we traveled from Tokyo to support foot massage members in Miyagi; following the Kumamoto and Oita earthquake, members in Kyushu visited shelters in Kumamoto, and provided such capable services as foot massage and manipulative treatment to the degree possible, hoping to heal disaster victims. 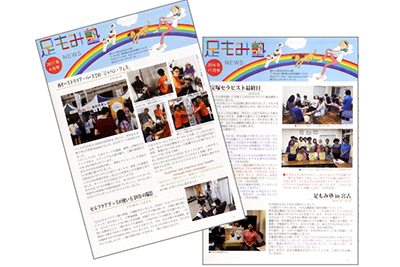 In addition, Ashimomi Juku News carried reports and called for donations. We have wound down our activities, but would like to extend our sincere gratitude to everyone who supported this project for so many years. Thank you very much. 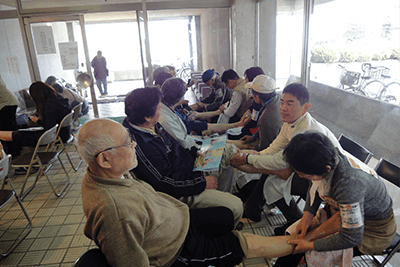 Our foot massage is a new self-care method of health management based on Kansokuho. Kan foot therapy is a health management method developed by the late Mr. Yubo Kan. Patients themselves vigorously massage reflex zones on their soles to improve blood circulation in order to recover, maintain, and manage health. Originated from the Eastern concept that health is centered in the feet, the method was popularized as the “sole reading method (foot diagnostics)” in the age of the Yellow Emperor 5,000 years ago in ancient China. Approximately 2,000 years ago, the legendary Chinese physician Hua Tuo named the method Zhu Xin Dao or foot reflexology, and it gained the status of academic theory for the first time. In the 20th century, an American physician studied the sole reading method and popularized it as zone therapy, which is acknowledged by modern Western medicine circles. Foot massage health management is a hybrid method that blends the wisdom of both Oriental and Western medicine. Based on these theories, we have come up with a therapy using proprietary foot massage tools to support everyone’s health from the sole up by means of a health management method that is easy for anyone to perform and brings noticeable results. そMuch like feet, hands also have reflex zones, meridians and acupressure points, and can gain the same benefits from massage as feet. Considering the importance of hand massage, we took the words “hand” and “reflexology” to coin a new term, handxology.